Join SuperMom’s Smoothie Challenge today! The challenge is to drink a smoothie a day for 30 days. 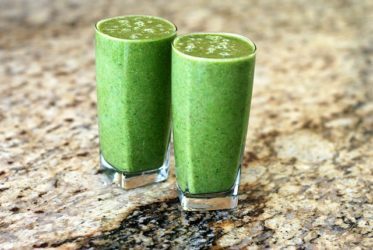 It is not only a tasty and fun challenge, but it can put your feet on the path to reforming your family’s diet into a healthier one by adding a green smoothie to it. Make no mistake, the kids will love it too! 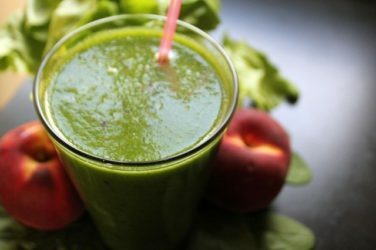 The best is to consume a mixture of leafy greens and fruits by creating an easy green smoothie but not every smoothie you drink has to be green. For example you can use veggies, like carrot or red capsicum, without greens, it will work just as well. In fact, you can even create a chocolate protein and fruit smoothie. Yum! We encourage you to think up new recipes based on the easy green smoothie formula. 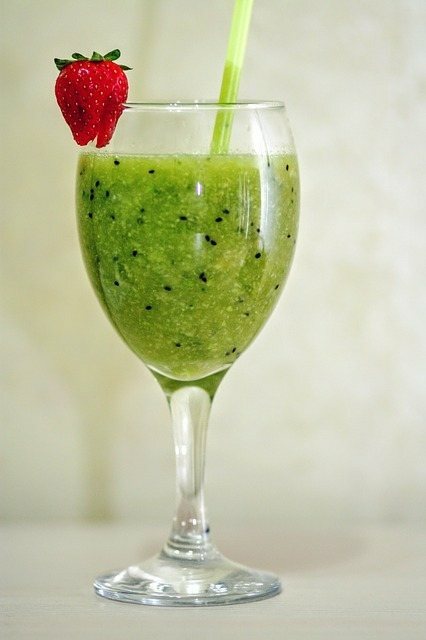 Simply blend together a mix of delicious fruit and greens with water in a ratio of 60% fruits to 40% greens. Following this ratio you will arrive at the best tasting, balanced smoothies. Introducing different leafy greens into your diet, such as spinach, kale, collard greens, dandelion greens, will help you to get the most benefit from this challenge! After all, those leafy greens assist in providing the vitamins and minerals your body needs. In my opinion the best is to start your day with a delicious green smoothie, but you can set your smoothie time anyway you like. Note that the suggested minimum serving size of a smoothie is 500ml. Feel free to go for more than one smoothie a day. In order to participate in this challenge you only need a blender and a few ingredients. The blender doesn’t have to be anything fancy, just operational. You will also need fresh or frozen leafy greens, fruits, water or coconut water and protein powder – if desired. Who the 30 day smoothie challenge is for? This challenge is for anyone who wants to introduce more healthy goodness into their daily diet. for those who realized that food is medicine and want to stay healthy. I don’t know of any type of person who would not benefit from embarking in this challenge. However, there might be some people who don’t like changes and won’t change their unhealthy diet one bit. In this case this challenge would be pointless . I hope to inspire you with this 30 day smoothie challenge to make little healthy changes to your diet. It’s easy with green smoothies you can enjoy, and want to share with others. The aspiration is to build a healthier, balanced lifestyle and maintain it for the rest of your life. Healthy additions, like a smoothie a day to your everyday life is likely to reduce cravings for sweets and salty processed foods. A Smoothie A Day challenge will help you stay motivated. It will provide you with the recipes, support and inspiration you need to make a healthy change to your life and maintain good health. 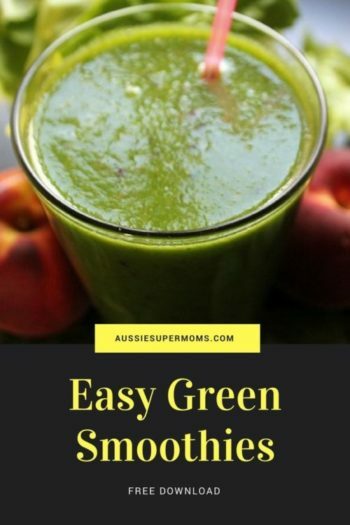 * Easy Green Smoothies – E-Book with tips, recipes and more. If you have a recipe you would like to share, let me know through my contact form. If you are on Instagram please be sure to share pictures of your smoothies with #smoothiechallenge and tag @AussieSuperMoms. Help us to spread the word, like us on Facebook and share this post with your followers on Pinterest. Commit to a smoothie a day! Sign-Up here. Chocolate protein and fruit smoothie shoulda yumm! Thanks for the inspiration, Etelka! Getting more veggies (especially greens) in your diet is always a great idea! So informative. Thankyou so much for this! Great challenge! I am in, lol. I love your warning part and shared this post on my Twitter account. Thank you Melani for sharing and welcome to the challenge!